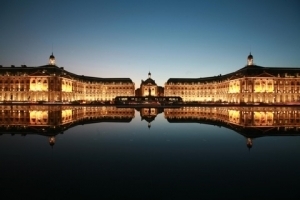 Along the Dordogne, amidst vineyards and castles, you will find Bergerac, capital of the Purple Perigord, with its interesting cultural and historical heritage. 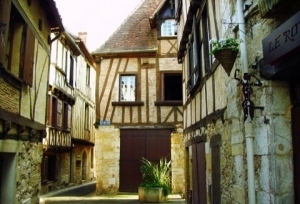 Discover the old part of the town with its museums, markets and flea markets and its legendary gastronomy or go for a boat trip on the Dordogne river, in a typical “gabarre”. 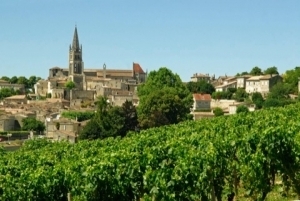 On the outskirts of Bergerac you will find Château Monbazillac, offering magnificent views to the Dordogne. The château is famous for its sweet white wines. 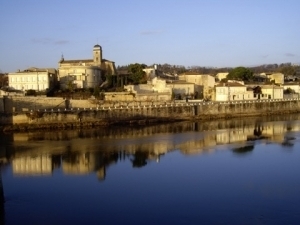 This town on the right bank of the Dordogne river, at the feet of the slopes of the Castillon-Côtes de Bordeaux wine region, is famous for its battle that ended the Hundred Years’ War in 1453. Discover the remnants of that era during a walk or experience these historical events during a great sound & light spectacle that takes place every year during the summer months. Between Bergerac and Saint-Emilion, in the middle of a large park, you will find the castle of Michel Eyquem, Seigneur de Montaigne (1533-1592), famous writer, philosopher and French politician during the Renaissance. Follow in the writer’s footsteps during a visit of the tower where he wrote his masterpieces and breathed his last. Visit this historical city of arts with its magnificent cathedral, built on one of the pilgrims’ roads to Santiago de Compostela, its museums, its plazas, its half-timbered houses and manors of the Renaissance. Or discover one of the markets with farm products, where you can taste the region’s delicacies. 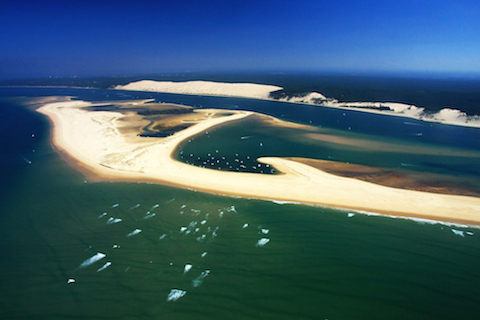 Discover the Atlantic Coast by visiting Arcachon, one of its most beautiful towns, famous for its outstanding architecture and its 4 districts, each with their own character. Enjoy the stunning waterfront in the Summer Town, the magnificent 19th-century villas in the Winter Town and the lively port in the Autumn Town. And do not forget to taste some fresh oysters and seafood.